The dermatology specialty care you need is just a click away. Just $69 or less depending on your insurance. The only thing worse than suffering from a nagging skin issue is waiting for an appointment with a dermatologist, which can be weeks or months in many areas of the country. At MDLIVE, we can reduce that wait time to less than 24 hours. That way, you can get a diagnosis and treatment plan quickly and easily anytime and from anywhere. A visit only takes a few minutes to complete. Anytime and from anywhere. 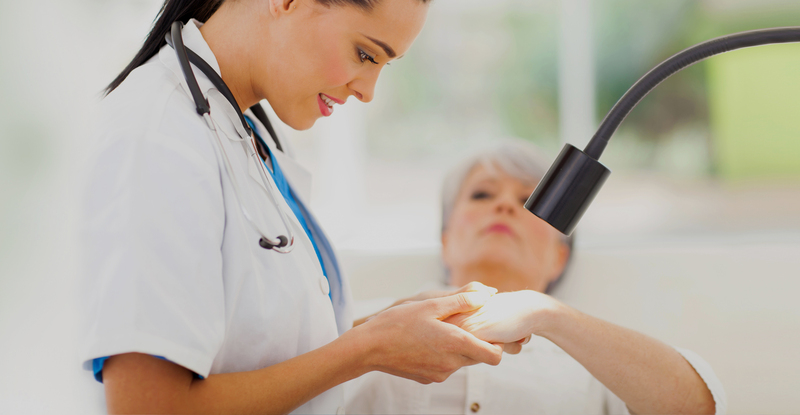 You can choose your dermatologist from a list of providers who are licensed in your state. You don’t need an appointment. Just describe your condition and send us a few photos of your skin. Need a prescription? Your dermatologist can send it to your local pharmacy electronically. All of the dermatologists who treat MDLIVE patients are board certified. Getting started is easy! All visits are done in an asynchronous manner, unless the patient’s state requires a video consultation. Patients simply choose Dermatology from the medical options on MDLIVE’s patient dashboard. They will be taken to a partner site, powered by DermatologistOnCall. After answering a few basic questions and providing a brief medical history, the patient will be asked to upload photos of the skin, nail, or hair condition. In an average of 24 hours, patients are notified of a diagnosis and treatment plan from a board-certified dermatologist, which include prescriptions if necessary.